Beat together eggs, sugar until combined. Whisk in milk, melted butter, vanilla essence. Sift over self-raising flour and salt and fold in. Fold in half of berries. 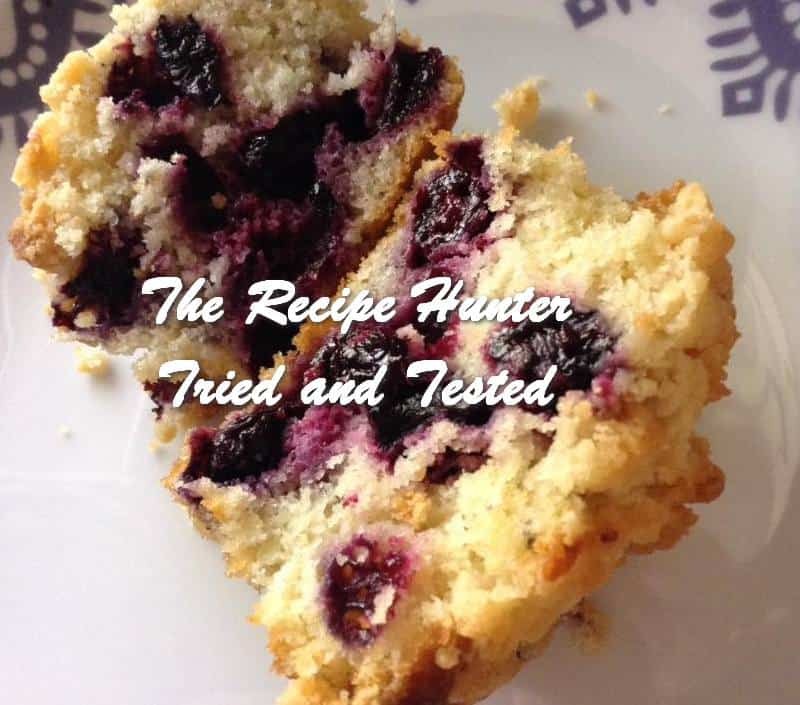 Spoon batter into muffin casings, sprinkle with remainder of berries and cover with crumble*. Bake for 20 – 23 mins or until a skewer comes away clean. Cool. Combine all ingredients into a ball. Grate over top of muffins before baking. Addendum: I forgot to mention I used frozen blueberries as fresh are out of season now. Just thawed, measured out 2 cups and drain over a colander for an hour. You don’t want all the juice to go into the batter it will affect the texture. Combine flour, cinnamon, baking powder, bicarbonate of soda and salt in a bowl. In another bowl mix together bananas, sugar, egg, vanilla & egg. Stir in flour mixture until combined. Combine flour, sugar and butter together. Stir in oats and pecans. 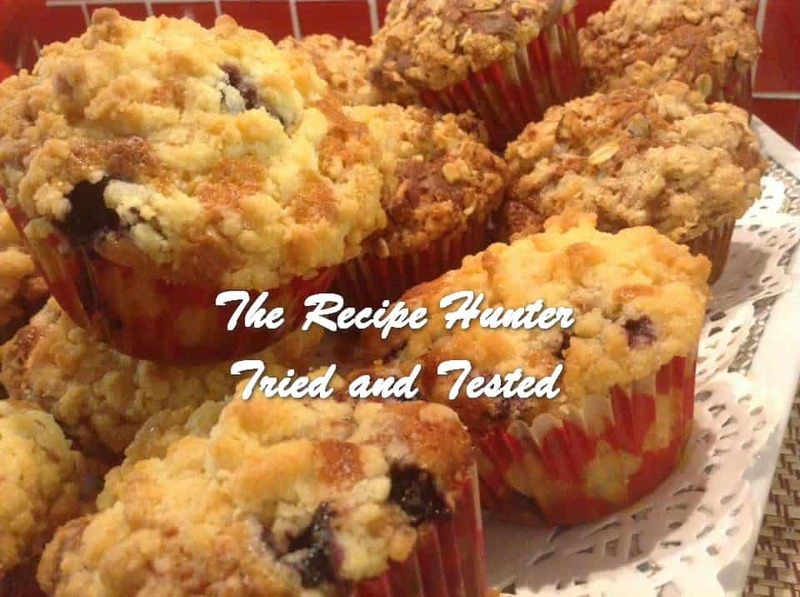 Sprinkle over muffins before baking for 20 – 25 mins or until a skewer inserted comes away clean. Cool.